That's how much it will cost the Kaduna Slumdog Billionaire to buy his temporary freedom. 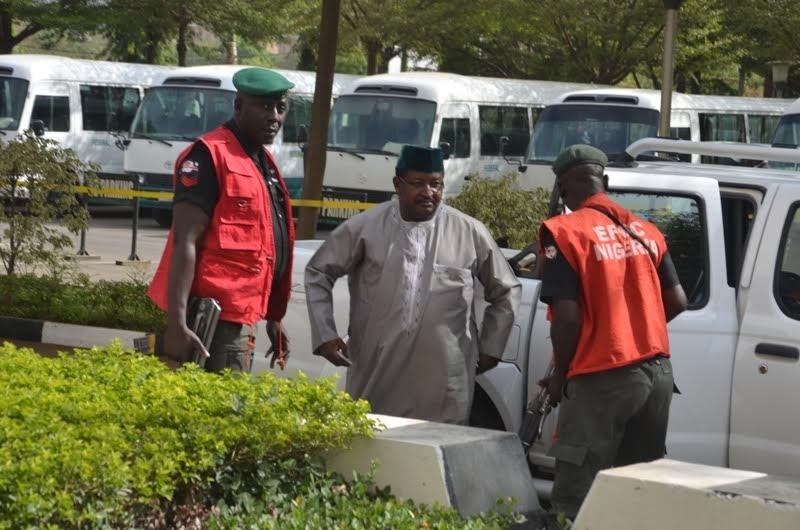 A former Group Managing Director of NNPC, Andrew Yakubu, who was accused of fraud has been granted a 300 million Naira bail by an Abuja court. Mr Yakubu was charged with money laundering and fraud when he appeared in court in Abuja on March 16 and the judge had fixed Tuesday to hear his bail application. The charges relate to the discovery by the Economic and Financial Crimes Commission (EFCC) of $9.8 million and £74,000 in cash at a property in Kaduna. He was also charged with failing to make a "full disclosure" of his assets and for unlawfully transporting the cash to the city. He pleaded not guilty. Ruling on the defendant’s bail application on Tuesday, Justice Mohammed noted that he had no reason to believe that the former NNPC’s GMD would jump bail considering his conduct of cutting short his medical trip abroad to honour EFCC’s invitation. He believes if Yakubu had wanted to escape trial, as alleged by the EFCC, the defendant would not have voluntarily returned to honour the commission’s invitation; a claim the prosecution did not deny. Justice Mohammed said the prosecution’s objection to the bail application was based on speculation and undue apprehension. He then proceeded to grant bail to Yakubu for N300m with two sureties in like sum.